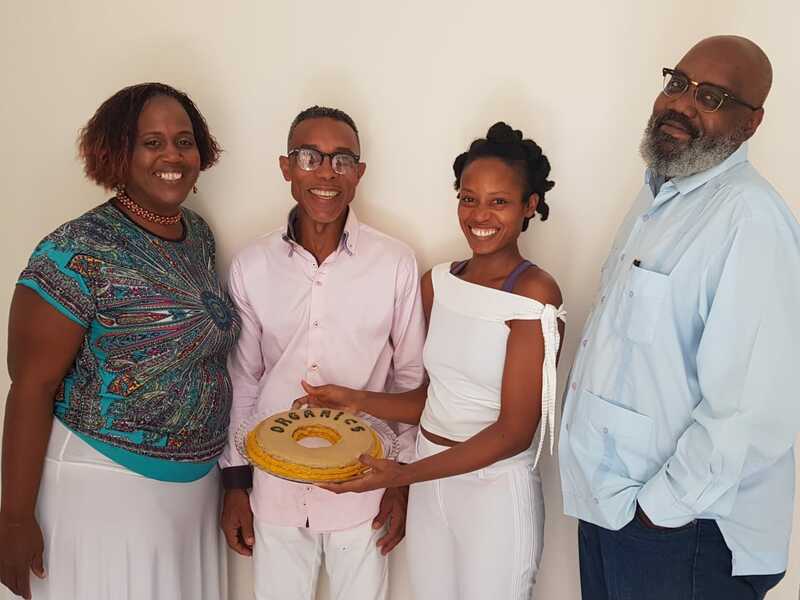 WILLEMSTAD - Because of the increasing interest in sustainability, the Organics Foundation has been established on April 12 this year. The foundation aims to raise awareness in order to increase the vitality and quality of life of the citizen of Curaçao and thus contribute to a decrease in health care costs. There is an increasing need for and interest in sustainable, ecological and wellness-oriented practices in Curaçao. Therefore, the Organics Foundation intends to contribute by offering training, workshops and treatments, which are provided by local and international experts and volunteers. As one of its first activities, the foundation launches a series of educational videos about organic farming and healthy food. Organics Foundation also has projects planned in the field of prevention. On the photo the board and the director of Organics Foundation. From left to right: treasurer Jeanise Gosepa, chairman Shastri Moesker, director Syreal Aniceta, and secretary Rubini Dometilie.